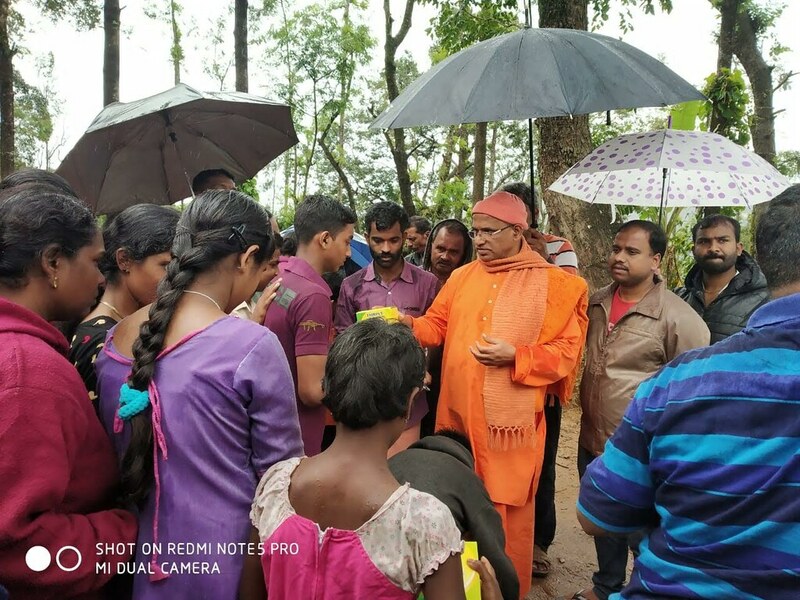 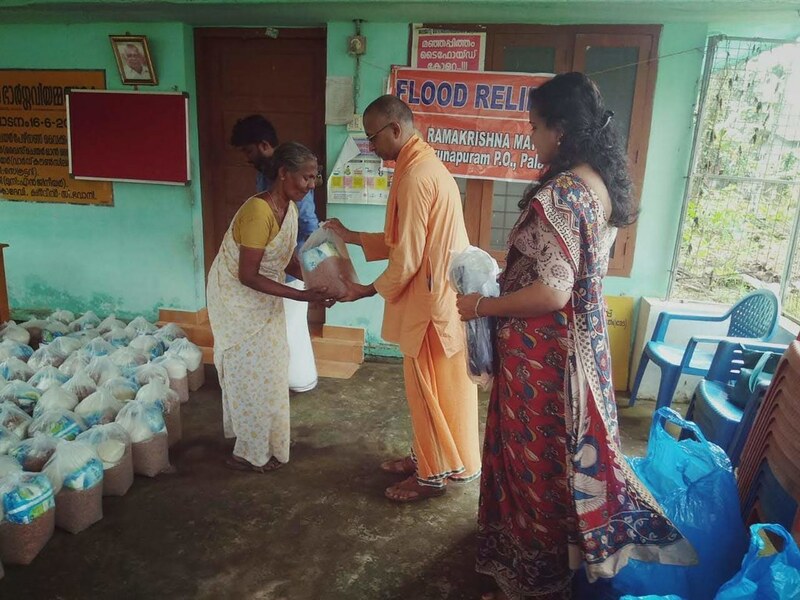 An extraordinary southwest monsoon lashed Kerala with incessant torrential rains and forced the state to release excess water from most of the dams resulting in flooding of all the major rivers, landslides and loss of hundreds of lives, livestock and property. 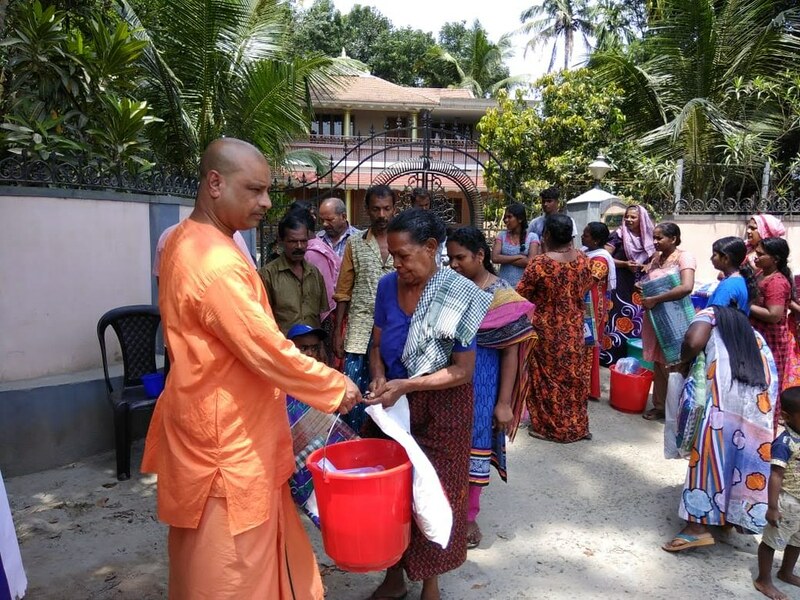 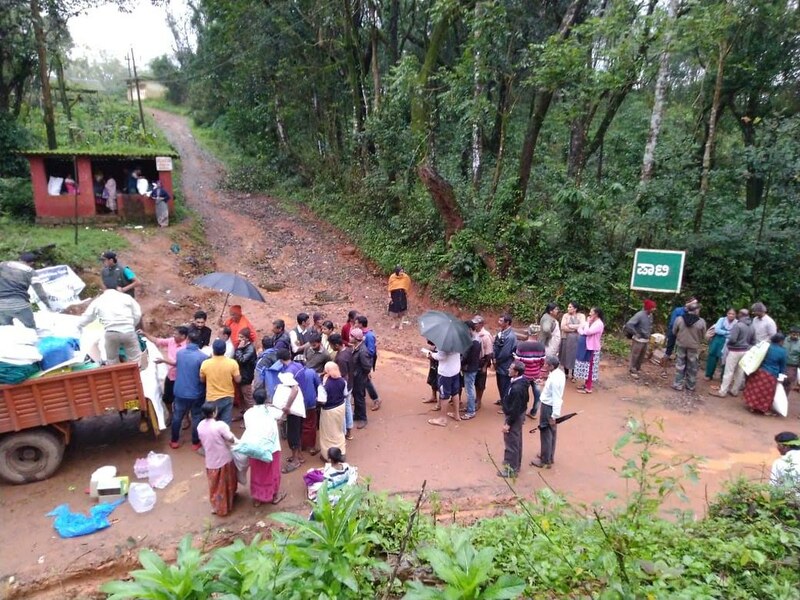 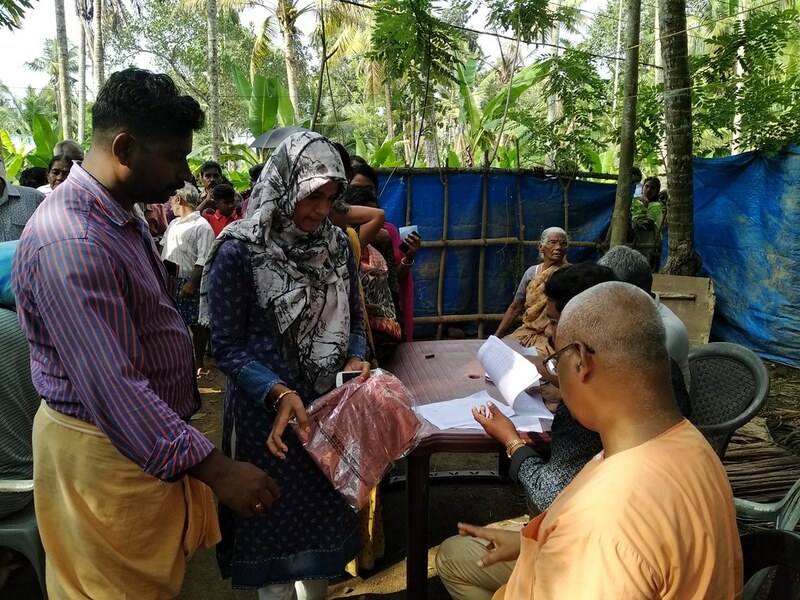 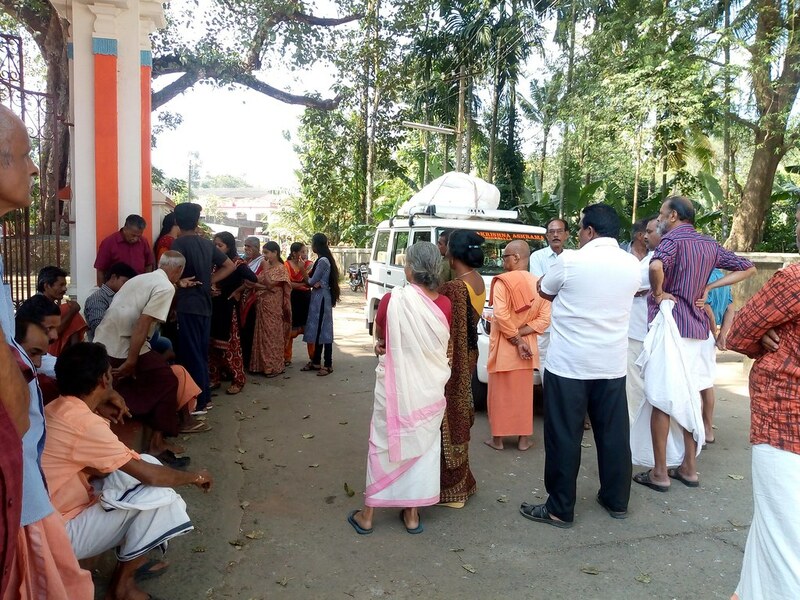 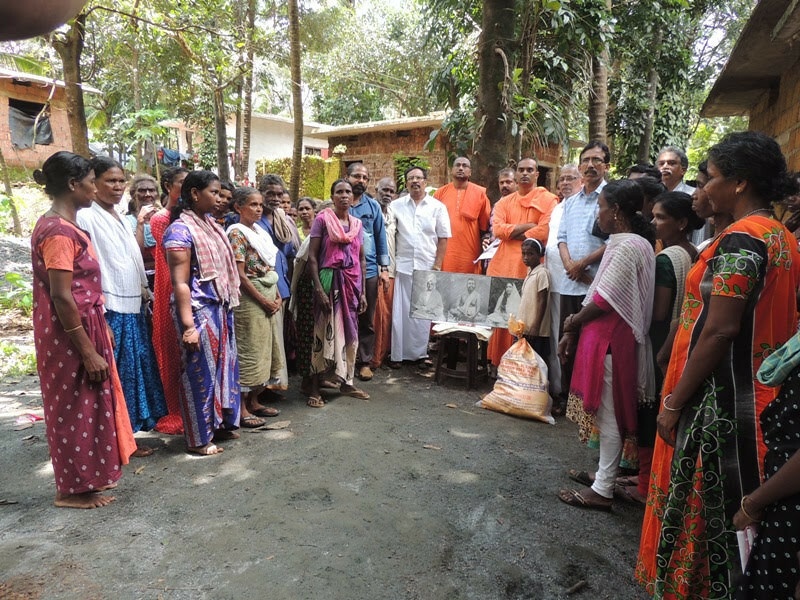 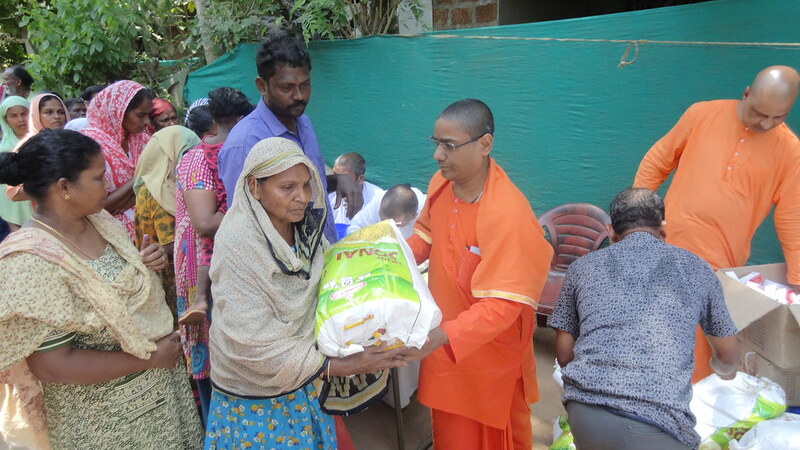 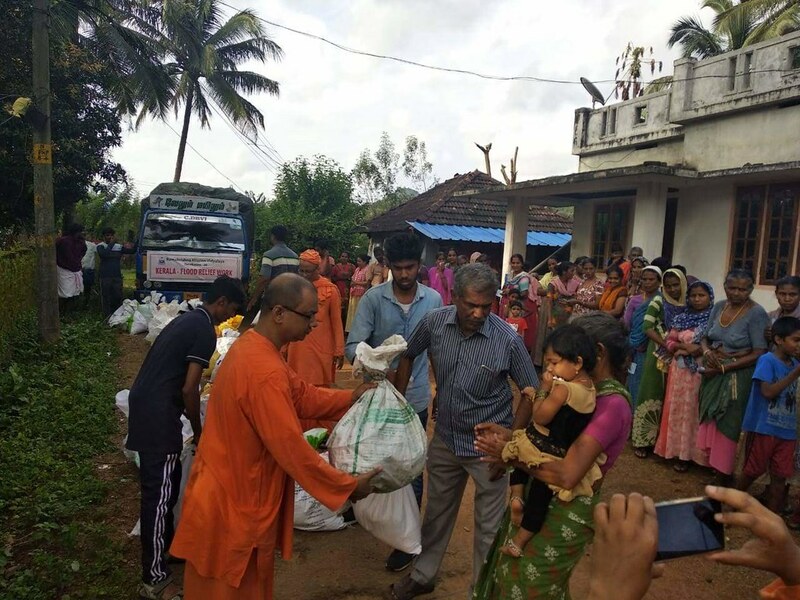 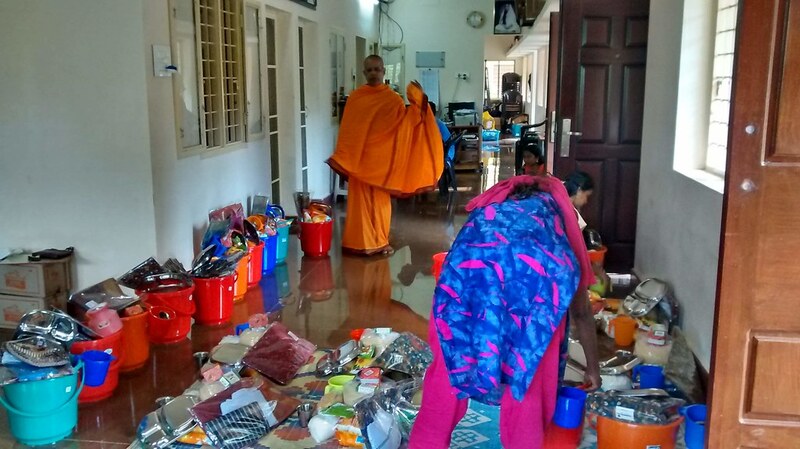 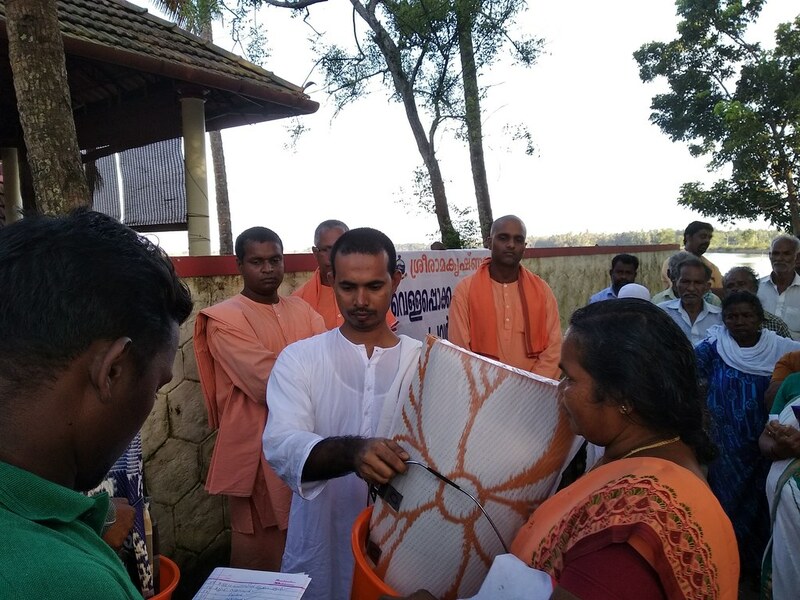 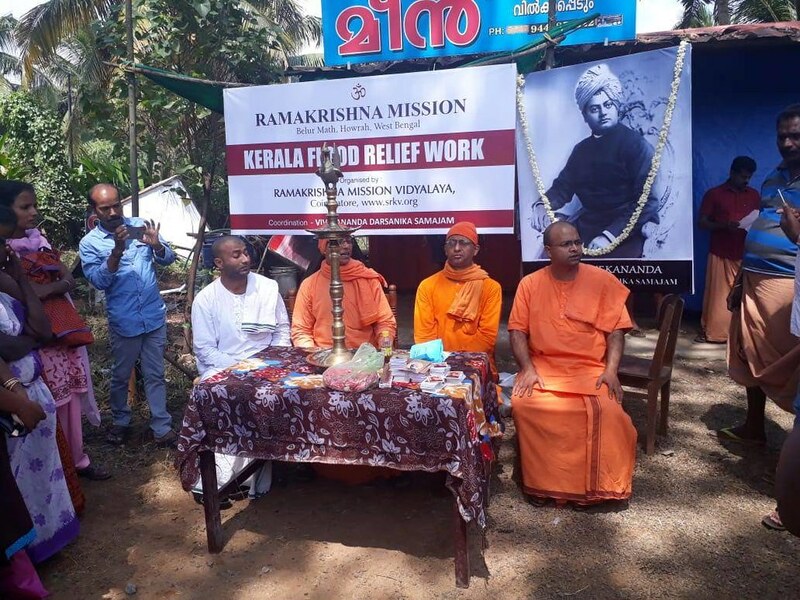 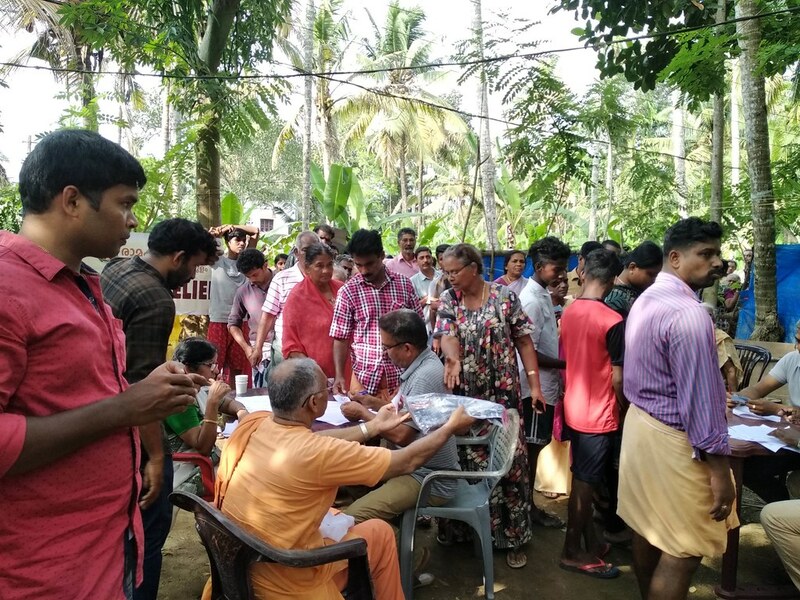 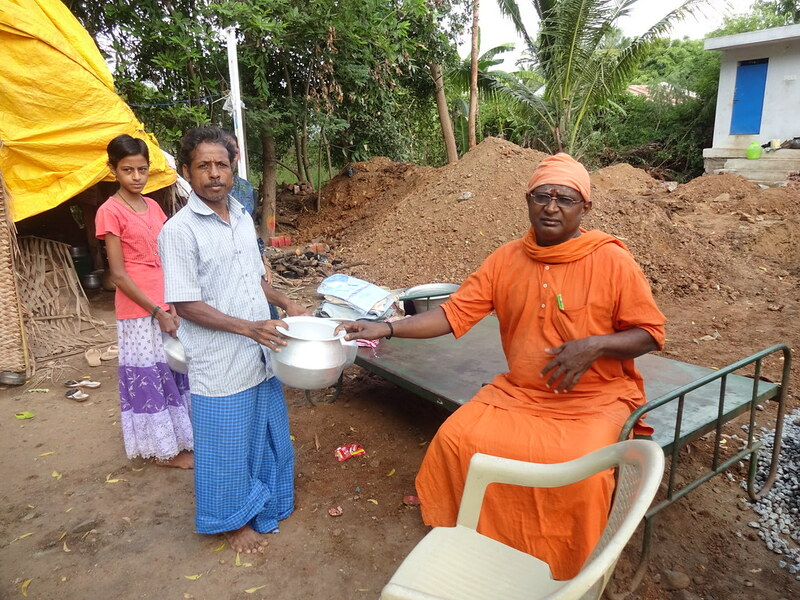 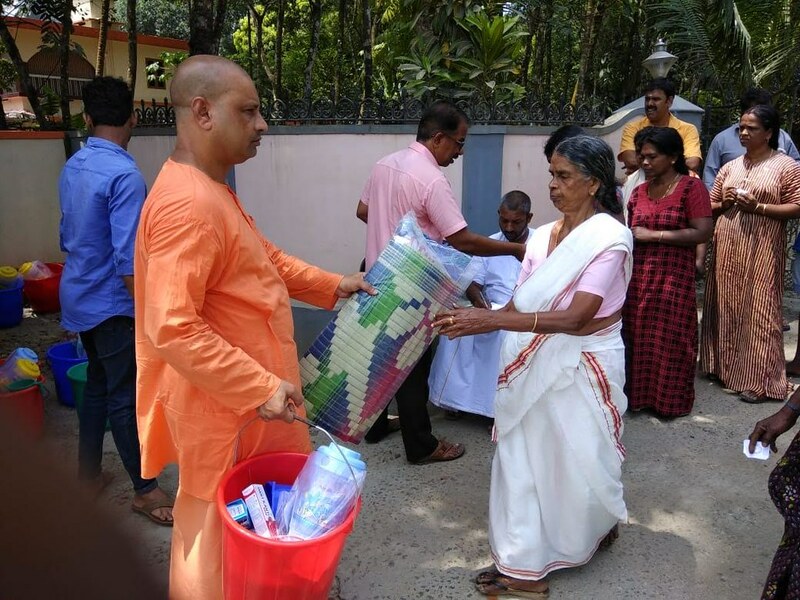 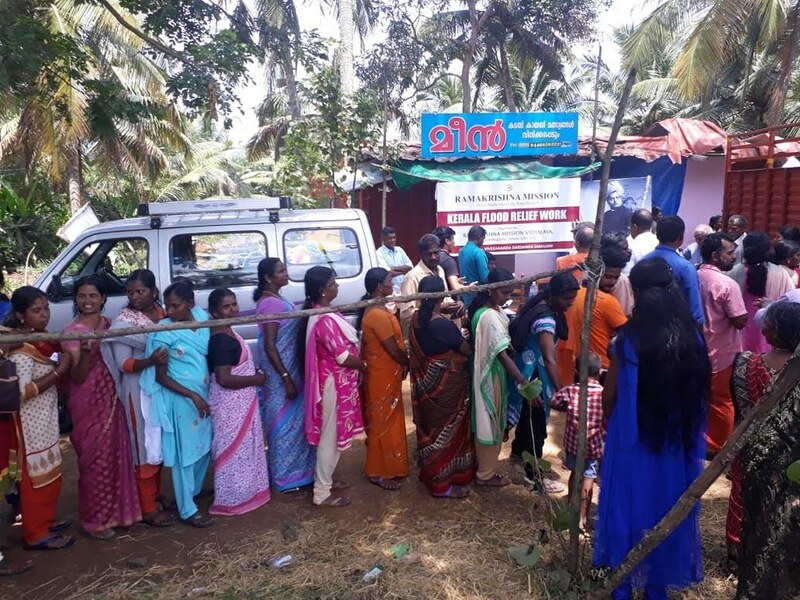 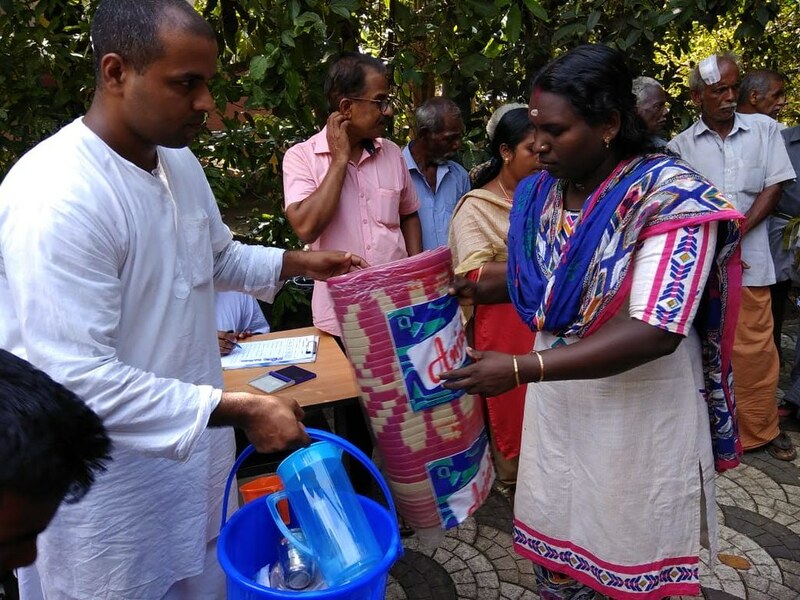 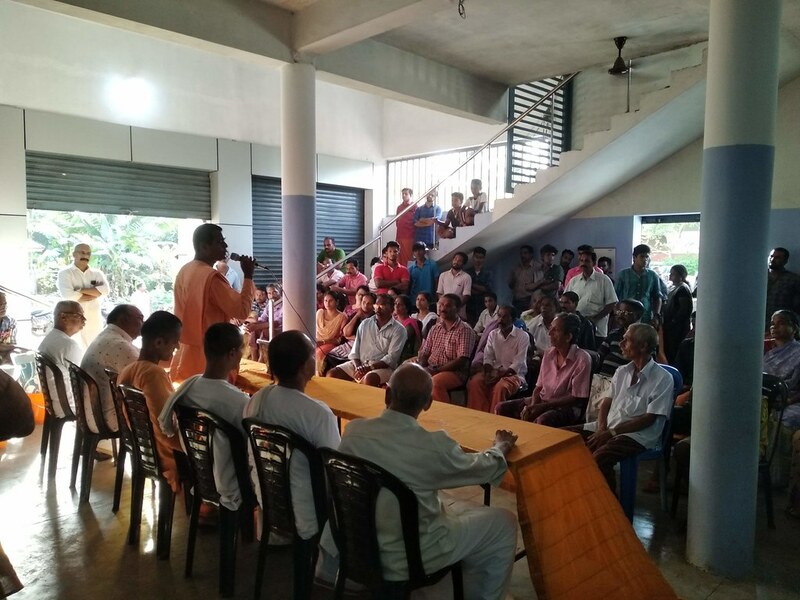 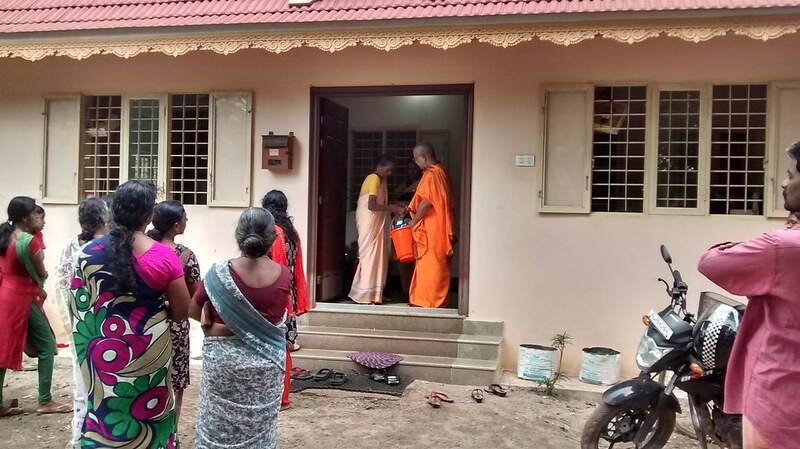 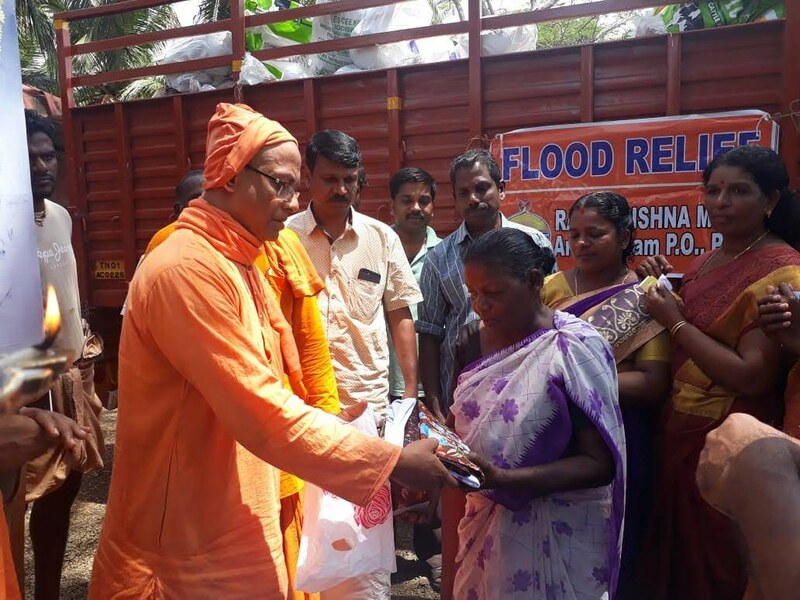 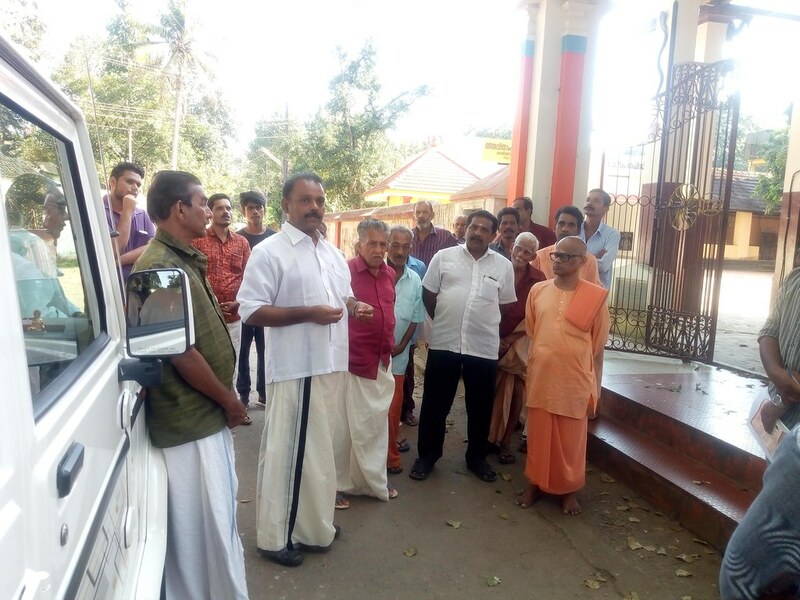 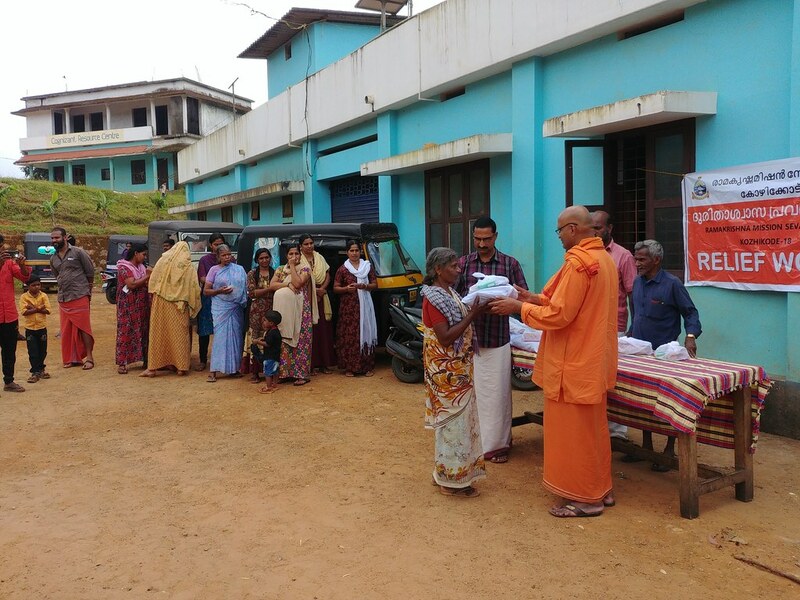 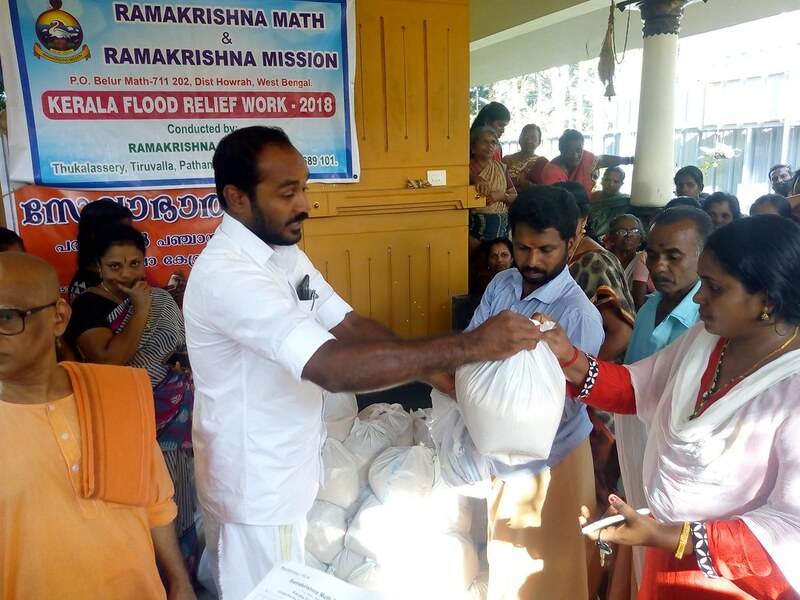 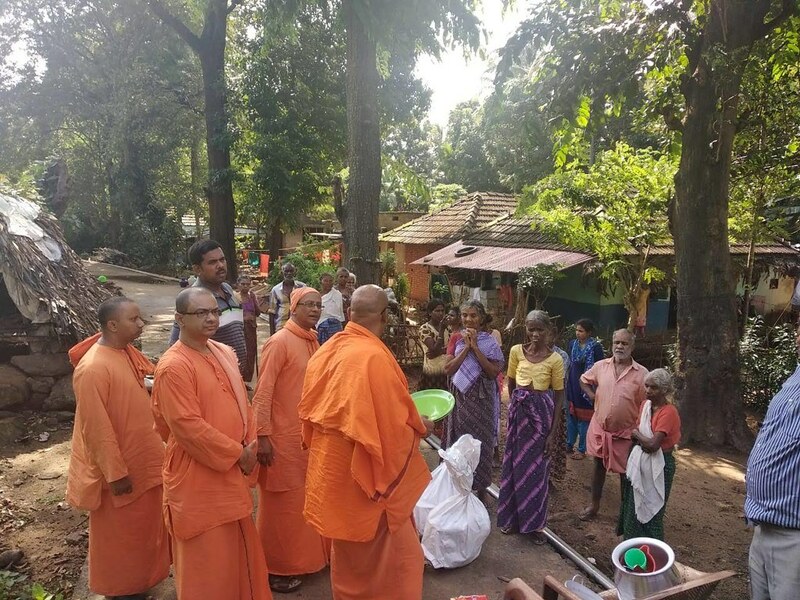 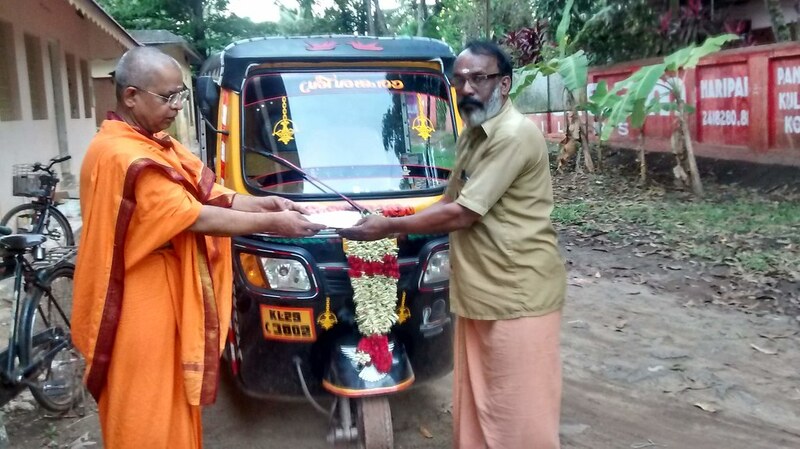 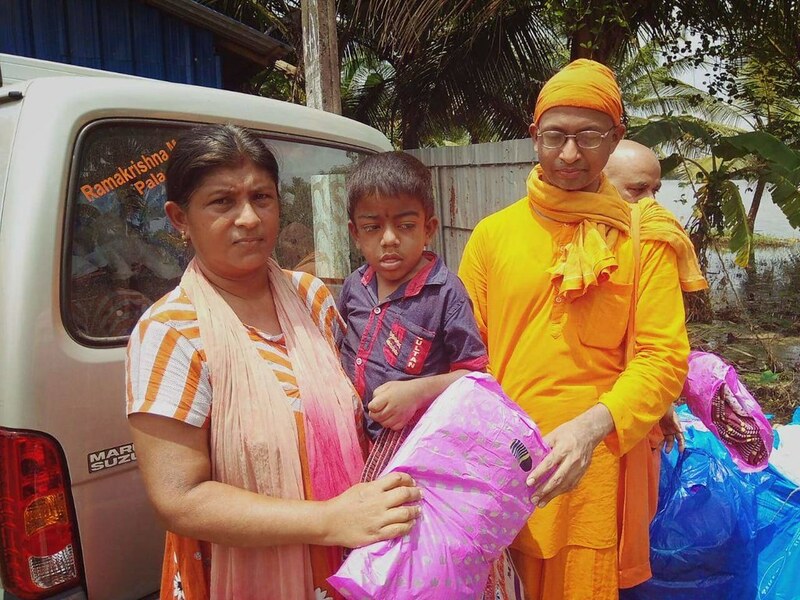 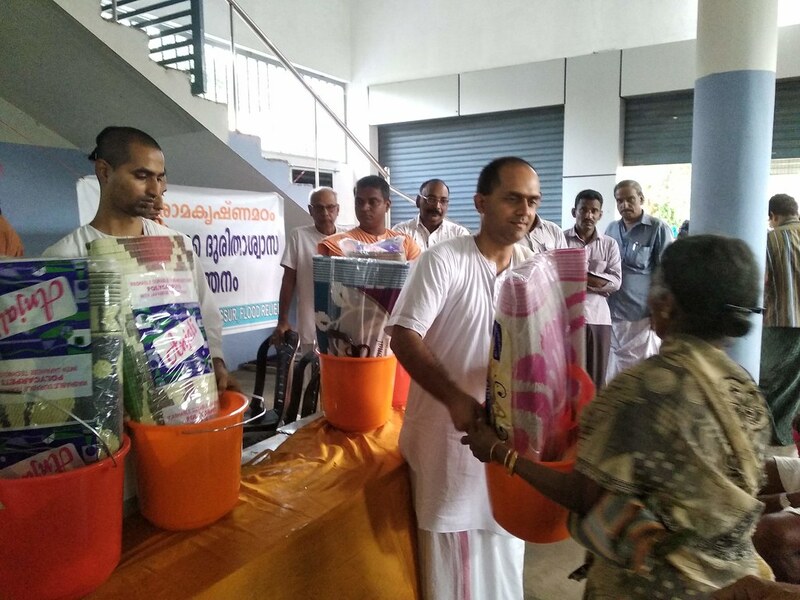 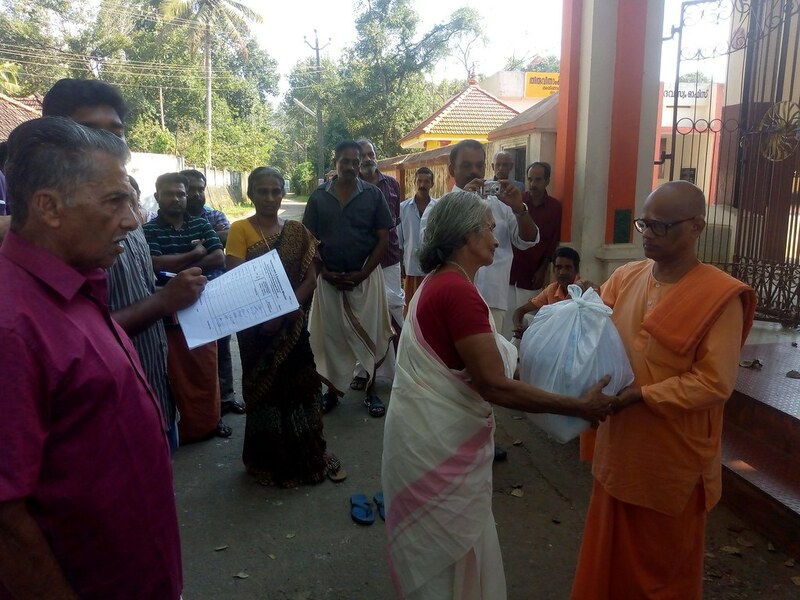 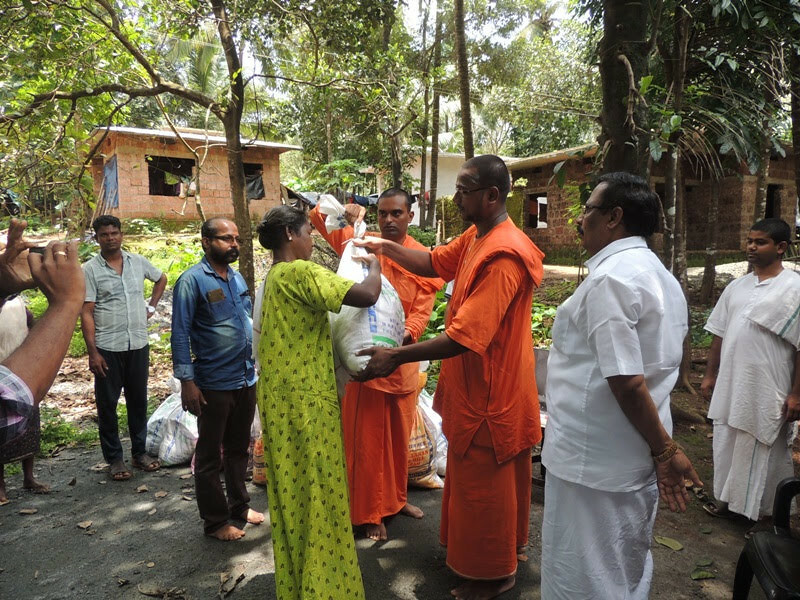 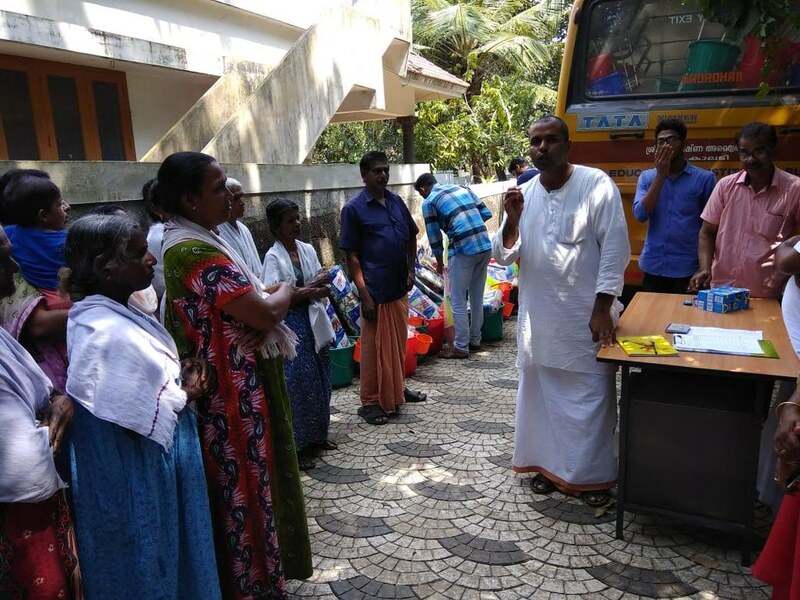 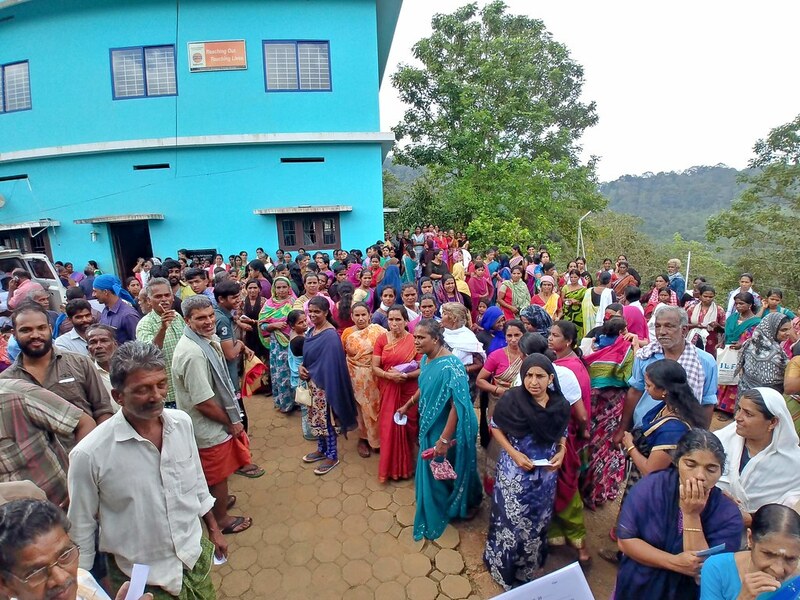 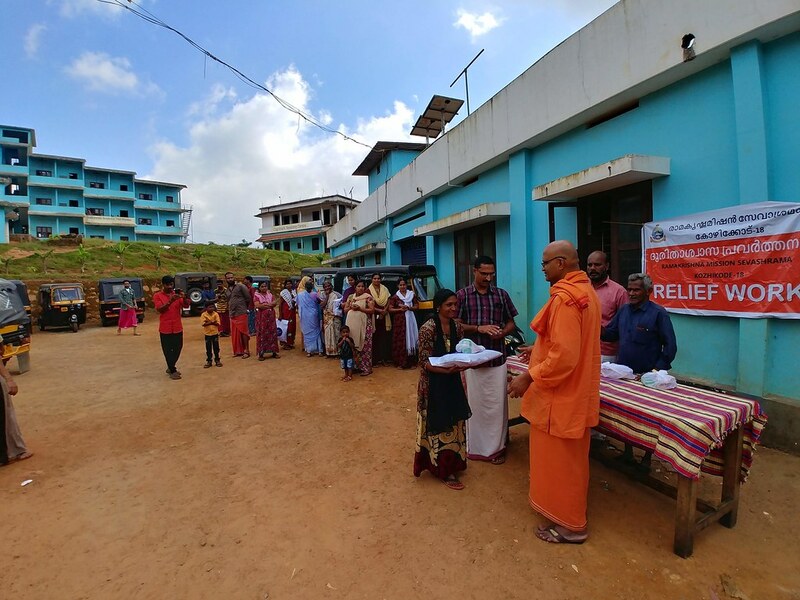 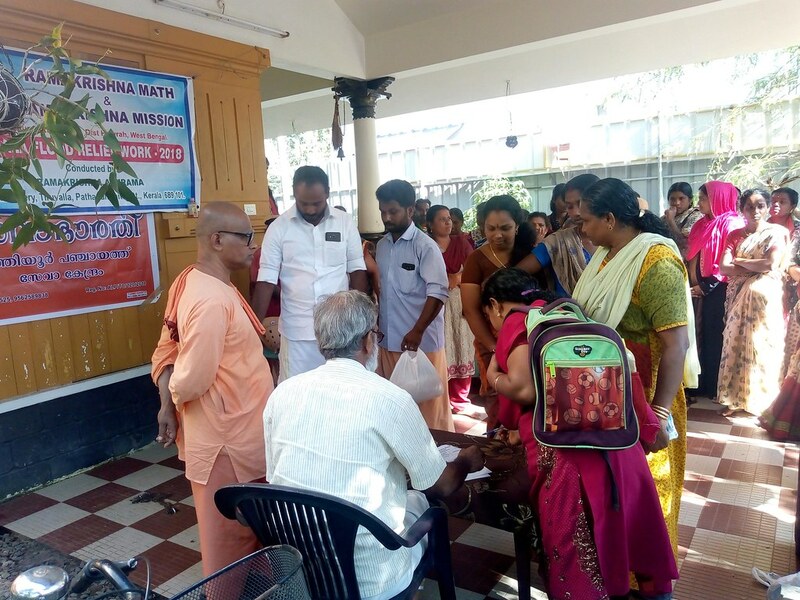 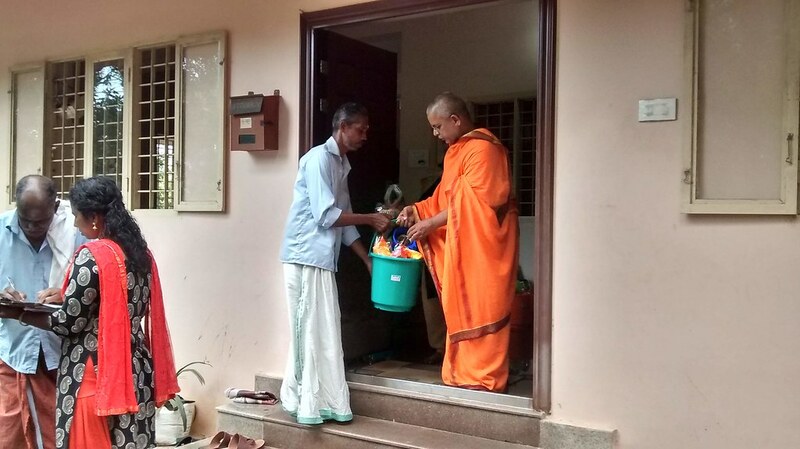 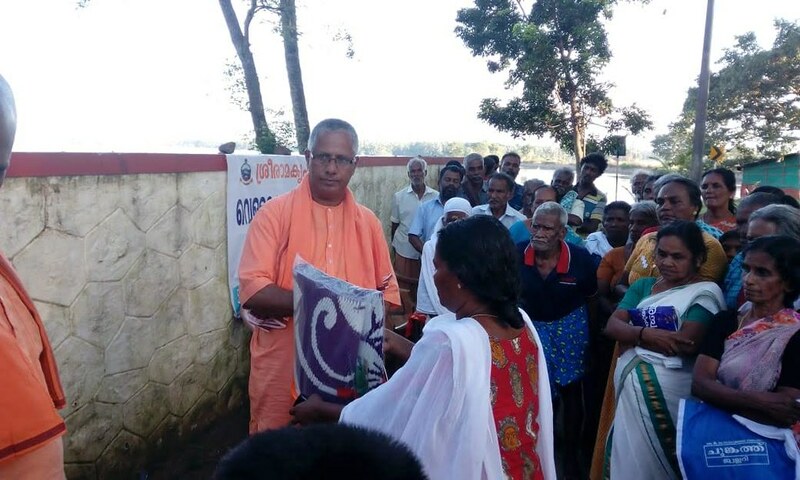 In response to the grim situation, our Coimbatore Math, Coimbatore Mission, Haripad, Kalady, Kayamkulam, Kochi, Koyilandy, Kozhikode, Pala, Ponnampet, Thrissur and Tiruvalla centres conducted primary flood relief services by distributing various dry food materials, blankets, garments, bedsheets, towels, mats, utensils, sanitary materials, buckets, mugs, mosquito-repellents, candles, matchboxes, tarpaulins and bleaching powder among 22,723 flood-affected families in Alappuzha, Ernakulum, Idukki, Kannur, Kodagu, Kottayam, Kozhikode, Malappuram, Palakkad, Pathanamthitta, Thrissur and Wayanad districts. 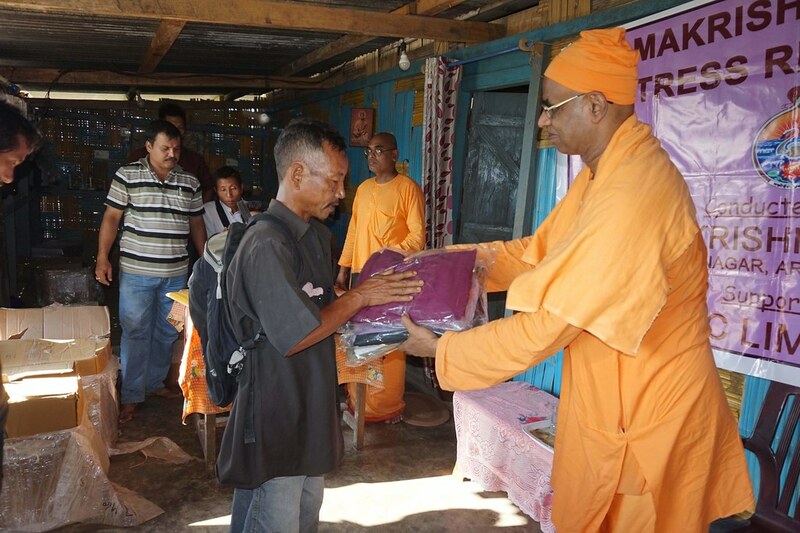 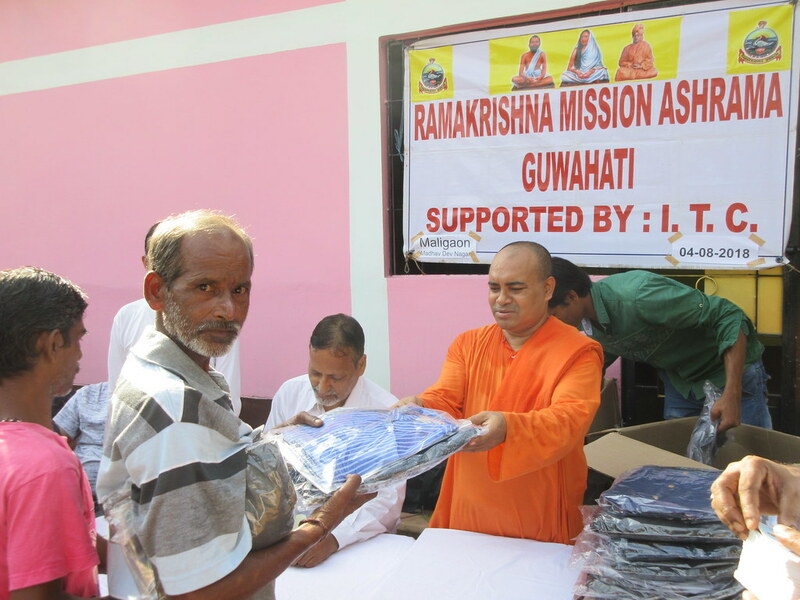 Distribution of nearly 29,500 garments and 11,15,000 assorted educational materials is underway. 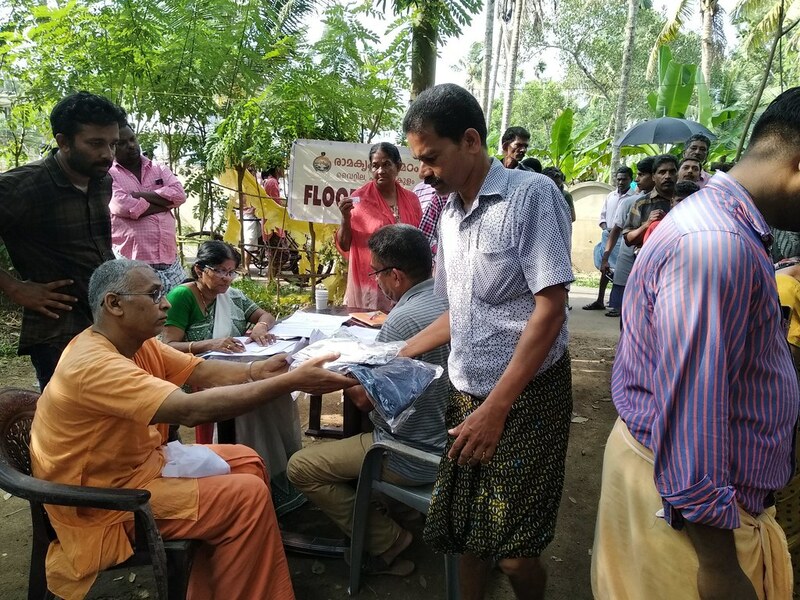 Further reports awaited. 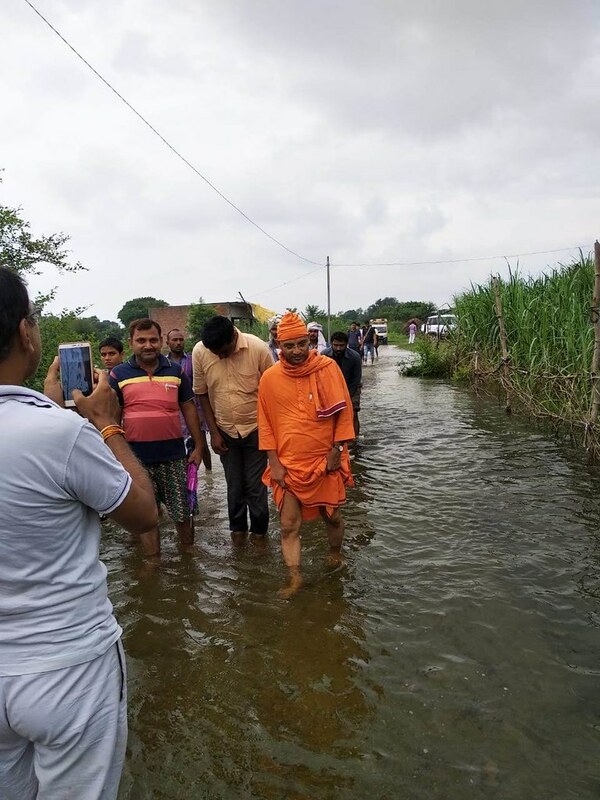 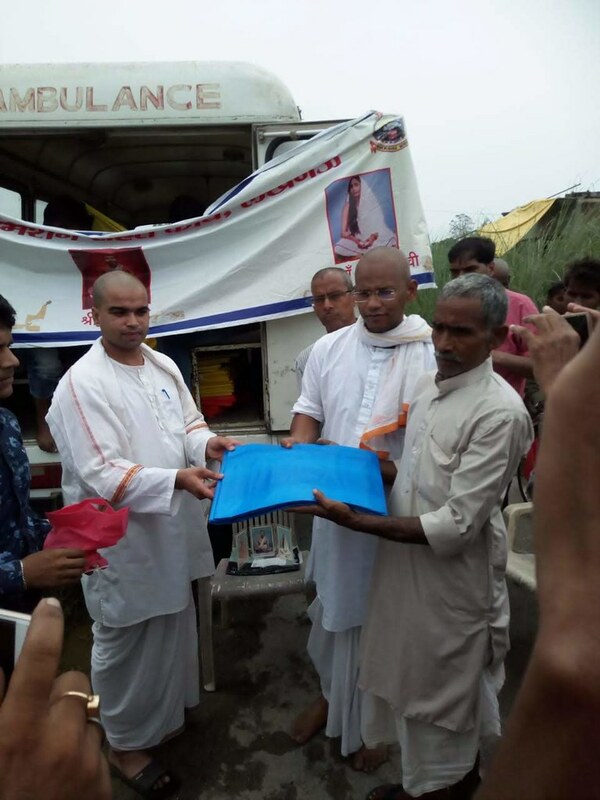 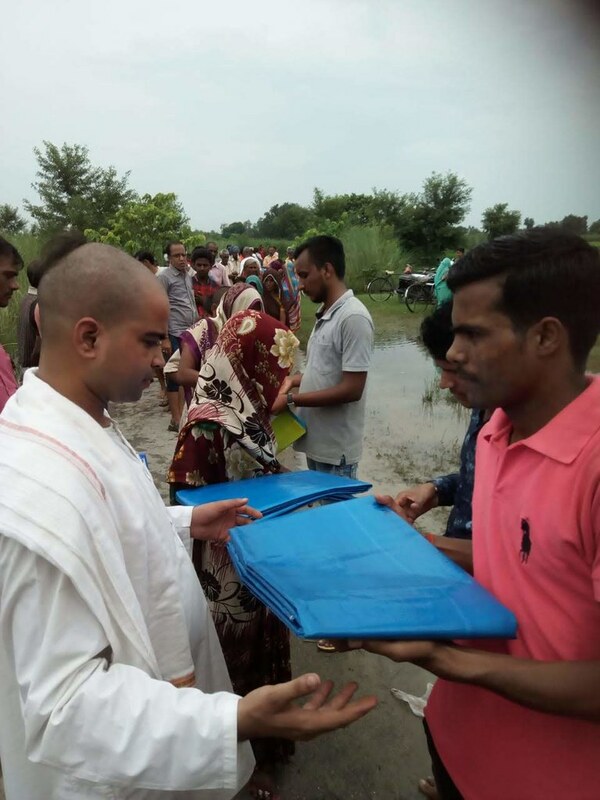 In the wake of heavy rainfall and the resultant flooding in Gonda district, Lucknow centre distributed 500 kg chira (rice flakes), 125 kg sugar, 250 plastic sheets, 3000 candles and 500 matchboxes among 214 flood-affected families from 4 to 8 September. 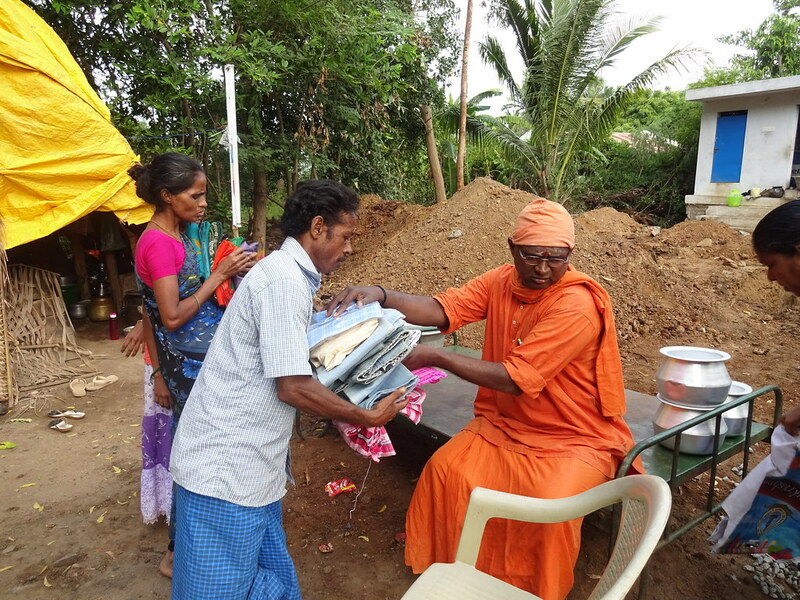 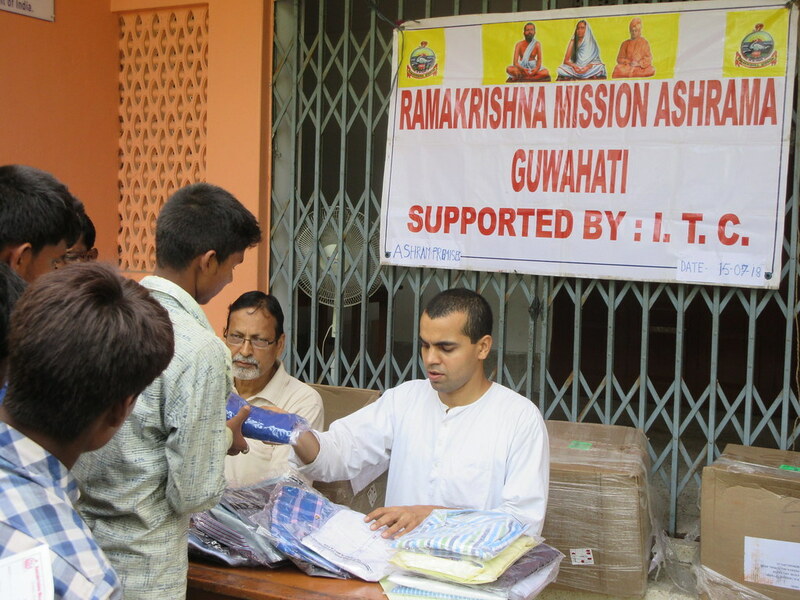 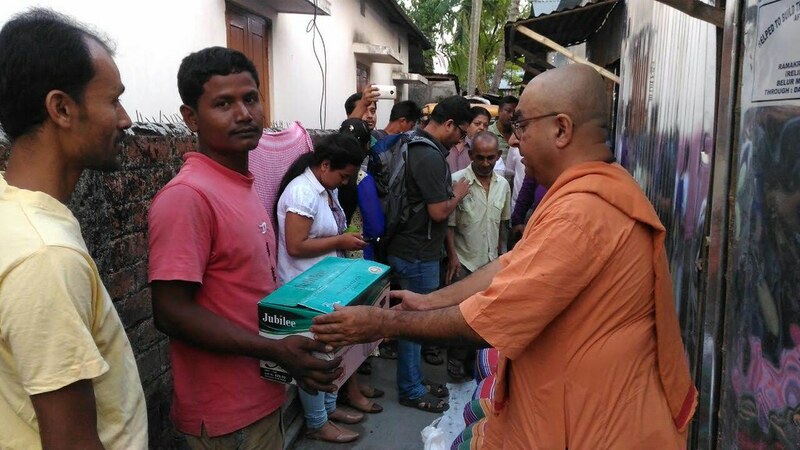 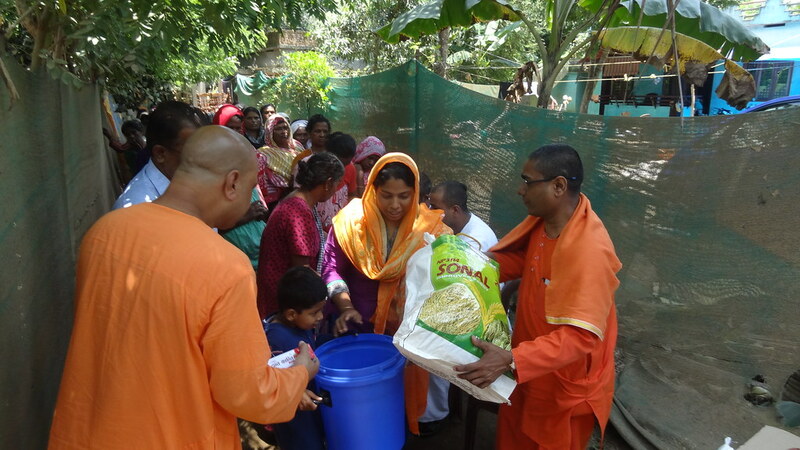 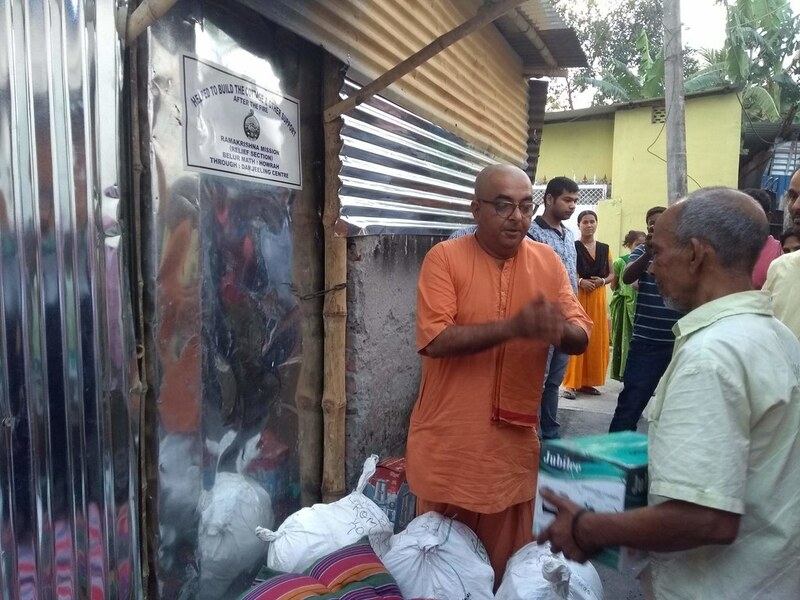 Distribution of dry food materials and garments in and around Ayodhya is underway. 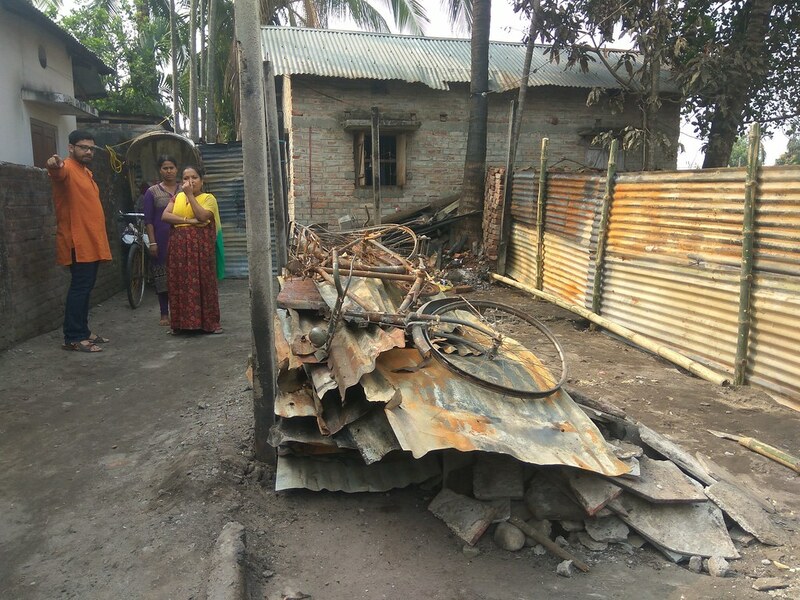 Further reports awaited. 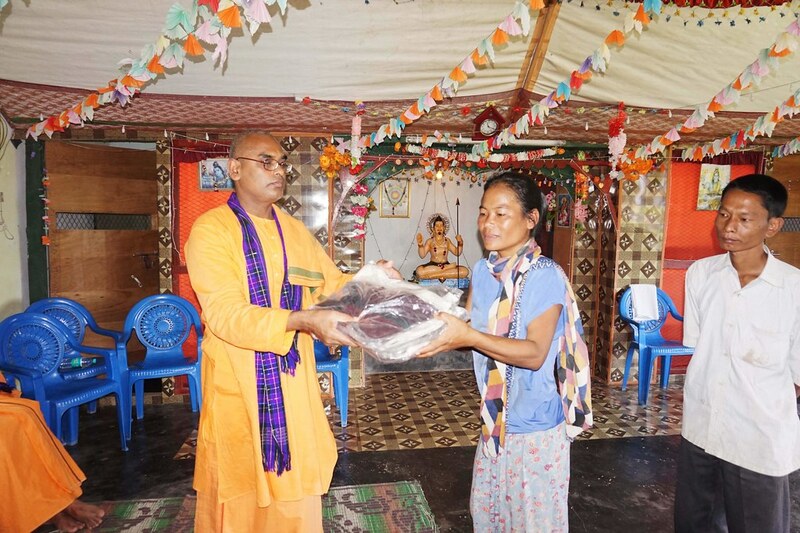 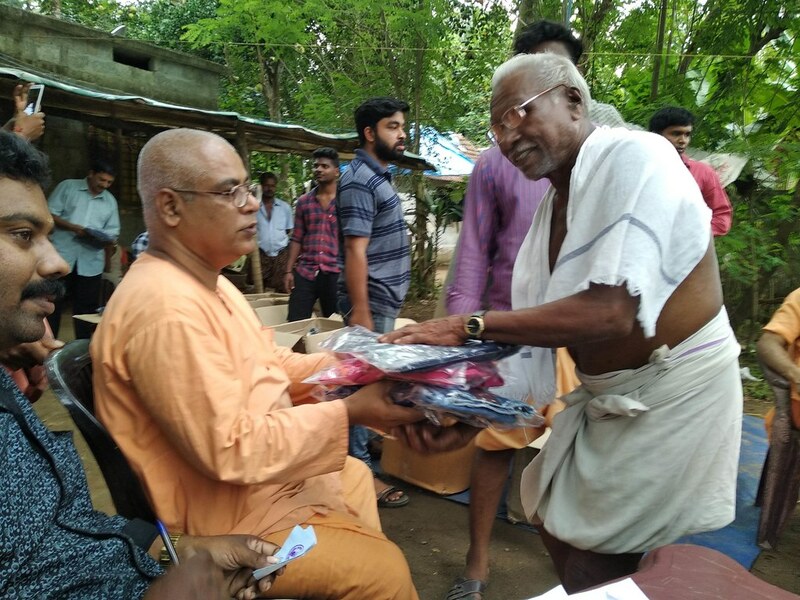 (a) Continuing its flood relief service, Bankura centre distributed 160 saris, 48 lungis, 96 dhotis and 26,000 halogen tablets among 230 flood-affected families in Bankura district from 30 August to 29 September. 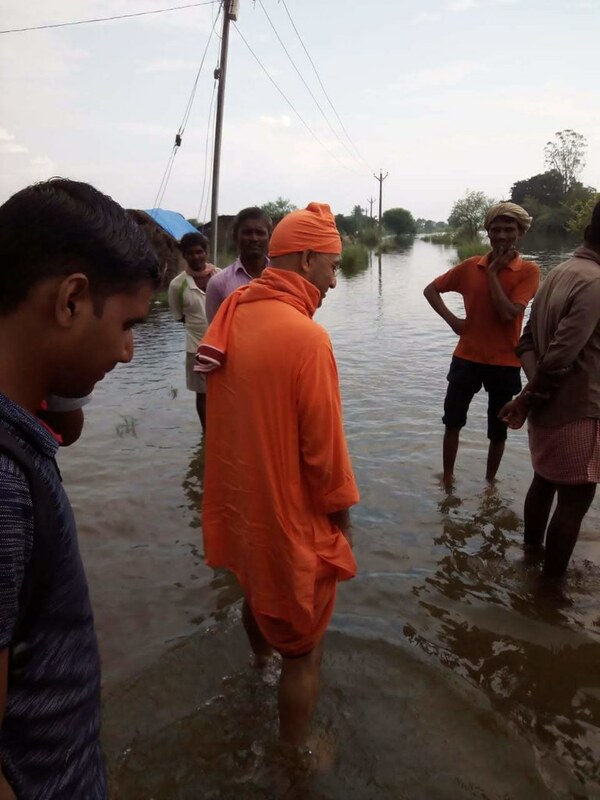 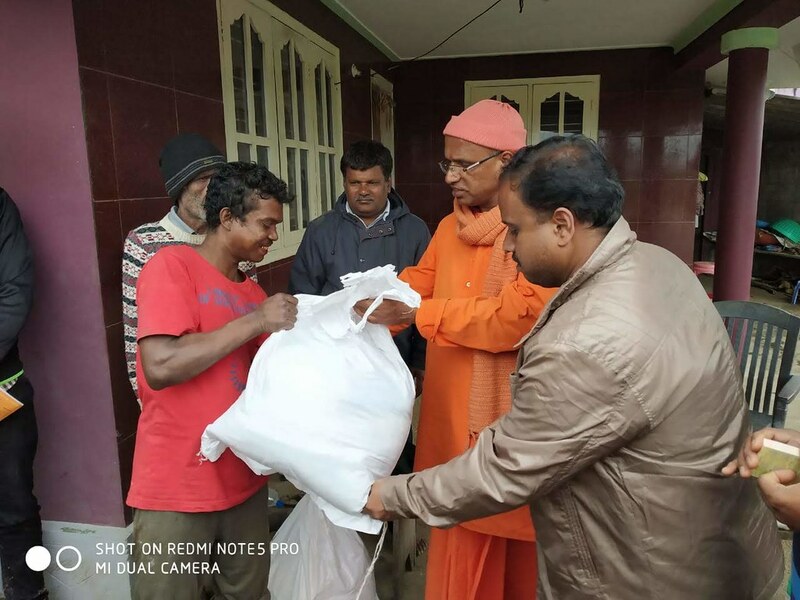 (b) In response to the flood-like situation in Jhargram, Jhargram centre distributed 327 kg muri, 18 kg chira, 2680 pieces of assorted snacks, 872 packets of biscuits, 126 litres of water, 400 saris, 200 dhotis, 50 lungis and 75 tarpaulins among 7300 flood affected persons. 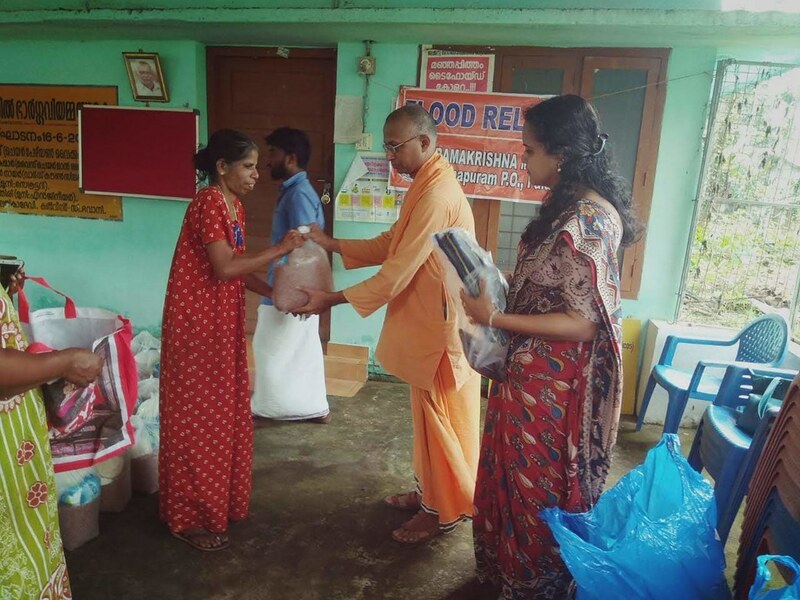 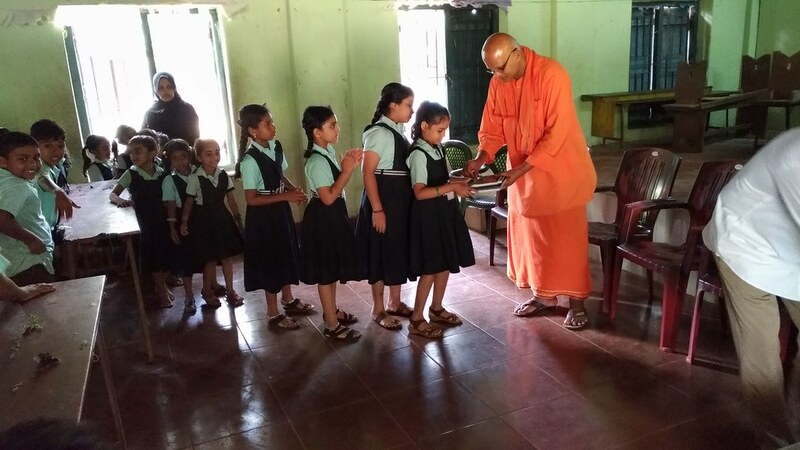 (a) Tamil Nadu: In the wake of a devastating fire accident in a hamlet of Tiruvarur district, in which 43 hamlets were completely gutted, Chennai Math distributed 43 kits (each kit consisting of 21 kg dry food items, 52 pieces of assorted utensils, 1 bedsheet, 2 pillows, 2 mats, 14 pieces of assorted sanitary items) among 43 affected families on 18 July. 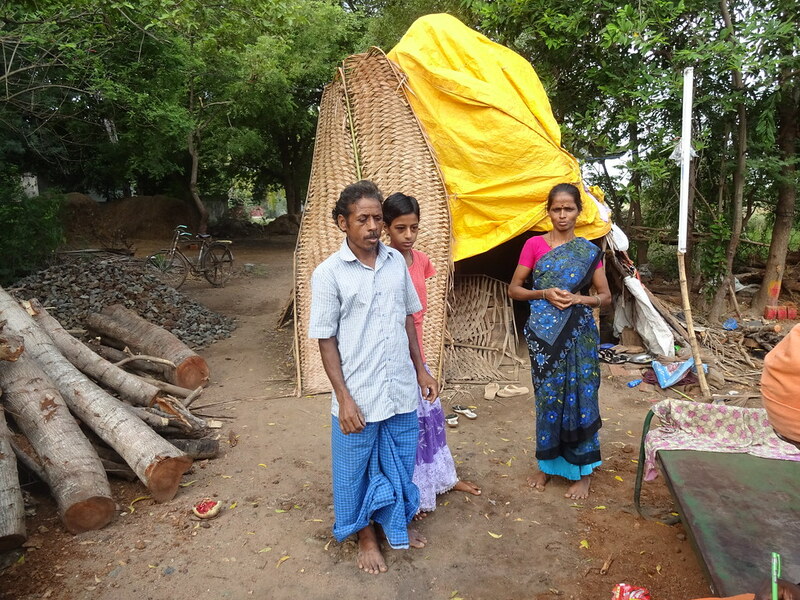 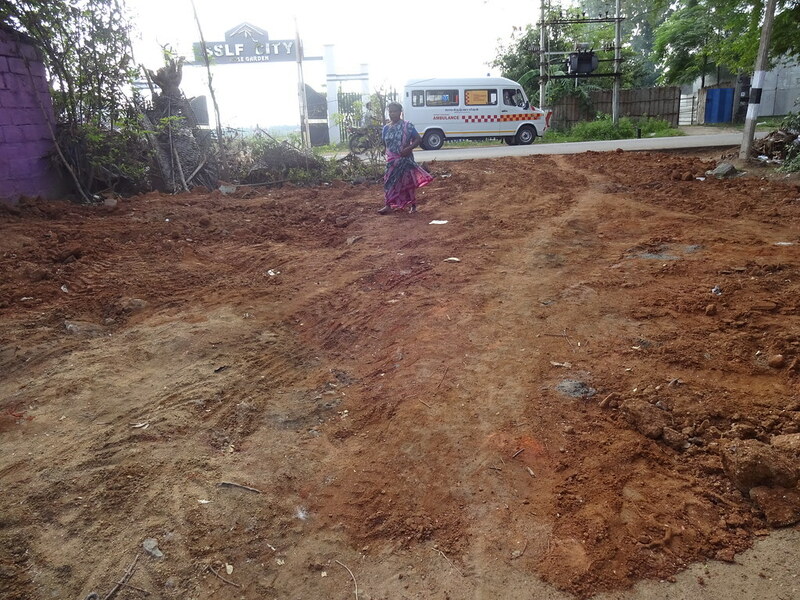 A thatched roof house was razed to the ground in a fire incident in the Mambakkam village in Kanchipuram district. 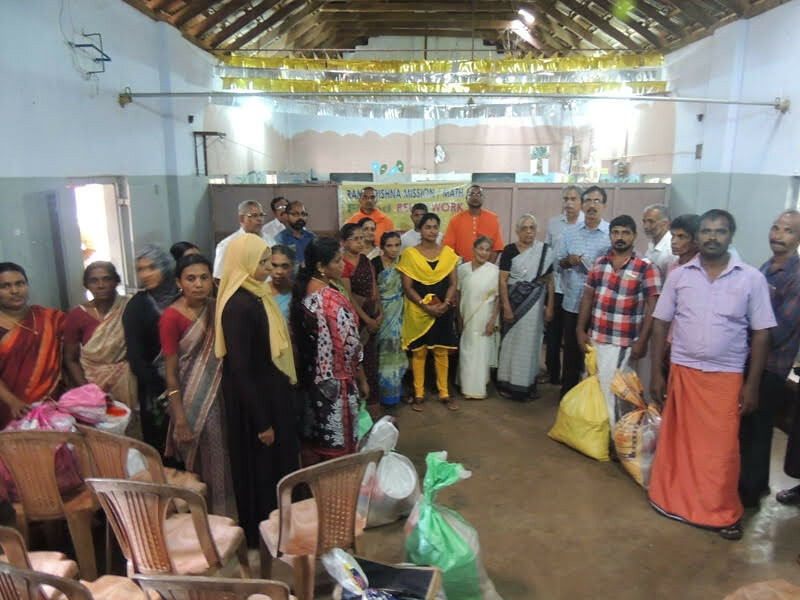 Our Chengalpattu centre distributed 19 pieces of assorted garments, 2 towels and 3 cooking pots to the affected family on 16 September. 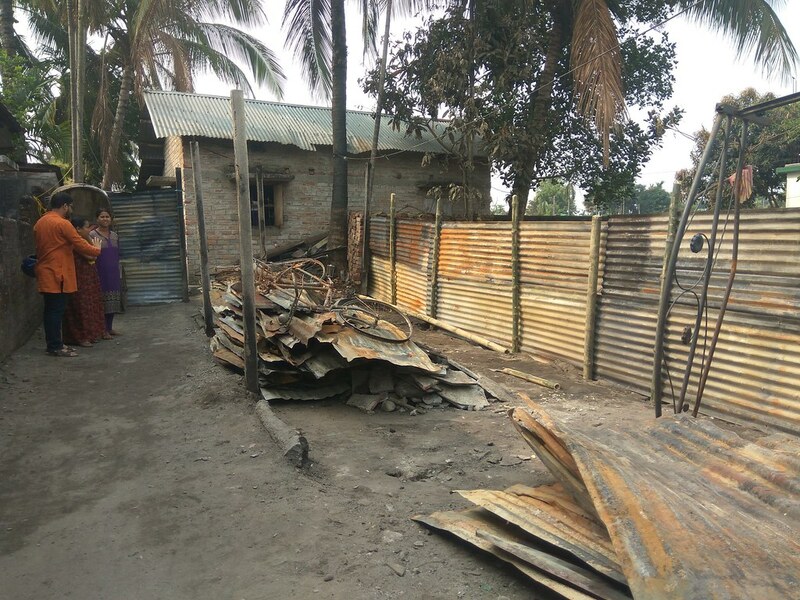 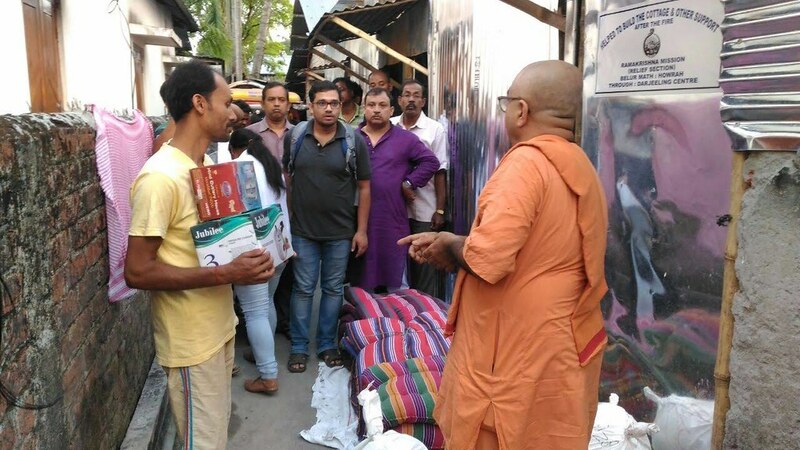 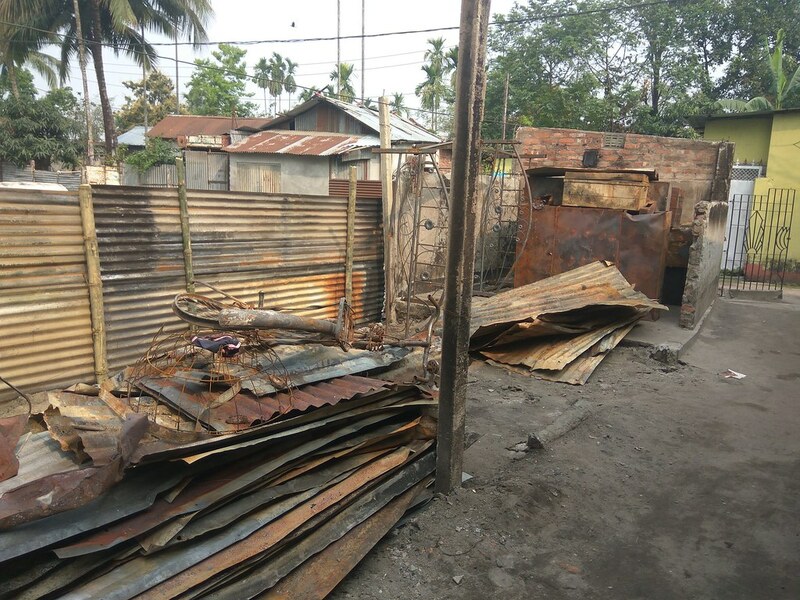 (b) West Bengal: Responding to a fire accident in Siliguri, in which 4 houses were completely gutted, Darjeeling centre distributed 4 beds, 4 mattresses, 19 pieces of linen, 10 pillows, 4 mosquito-nets, 4 ceiling fans, 4 kerosene stoves and 120 pieces of assorted utensils among 4 affected families from 1 April to 4 June. 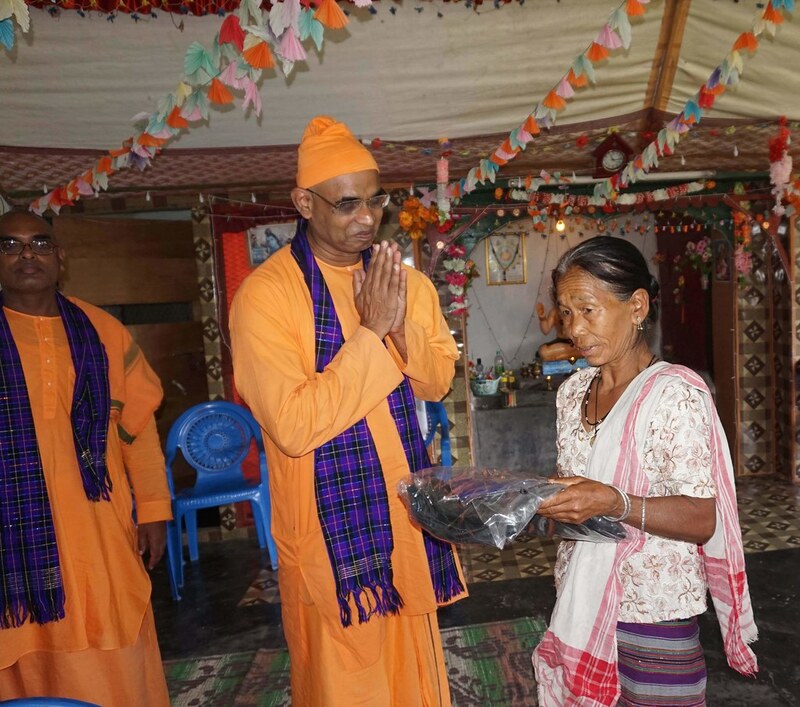 Under self-employment programme, Chandipur centre distributed 4 sewing machines to poor and needy persons on 9 August. 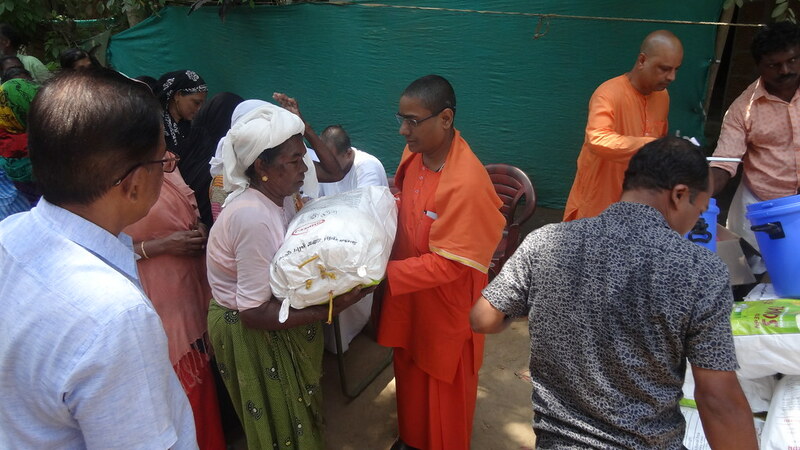 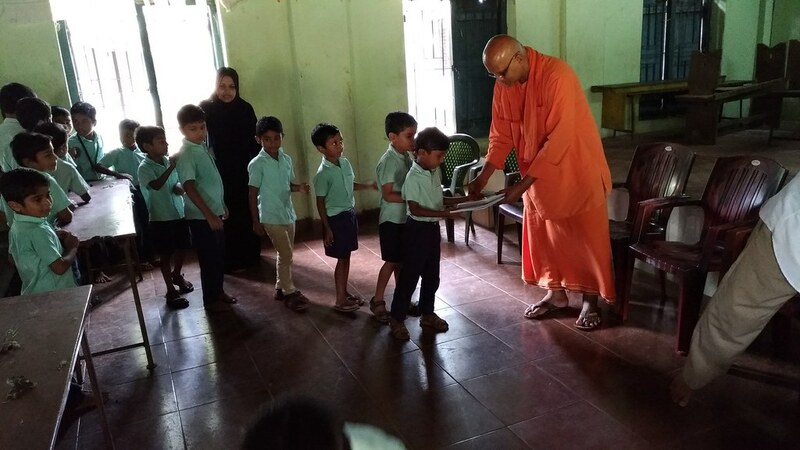 To extend a helping hand to poor and needy people, 6 of our centres in different parts of the country have distributed: 200 kg rice, 200 kg flour, 50 kg dal, 12 kg chira (rice flakes), 3 kg muri (puffed rice), 30 packets of cake, 50 kg mustard oil, 100 kg salt, 50 kg sugar, 10 kg tea leaves, 20 kg milk powder, 10 kg turmeric powder, 271 packets of biscuits, 100 bars of bathing soap, 1058 school bags, 16,424 notebooks, 7058 pens and 2000 pencils among poor and needy people during August and September.